Sunshine Antenna Service has been a professional Antenna installation and repair firm for over 30 years and just one of the benefits to you is that we know what works in which areas on the Sunshine Coast. We strongly believe by installing the correct antenna and amplifier with good quality cable and masting that the slight extra initial cost is outweighed by the long term reliable service you get. That is why we use high quality Antennas with built in 4G filters, fully shielded and filtered TV signal Amplifiers and hot dip galvanised masting. Besides the obvious health and safety risks associated with working on pitched roofs, correct installation by a trained professional will give you years of trouble free TV signal. Our trained installers will survey the signal using our professional digital field strength meters. This makes a huge difference to getting the antenna installed in the best possible location on your roof. What does our service include: Sunshine Antenna Service will supply the right antenna for your area, we will also fully install the antenna, fixing it to the roof, and cabling to the needed number of points inside the property, utilising an amplifier as required. 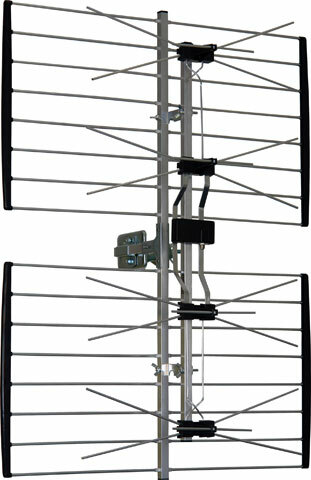 The correct direction and type of antenna installed are crucial to the best signal and reception for your TV. As professionals with over 30 years of experience in the business of antenna installations you can rely on Sunshine Antenna Service to get the job done for you on time and with the best quality.